I took a train from Milan to Como, and then a ferry across Lake Como to the small town of Bellagio. Located on what some people have called “The Crotch of Lake Como,” (because the lake is roughly shaped like a pair of pants) Bellagio was famed for being a lakeside idyll, a famous destination for visitors looking to get away from it all. I had some trouble getting to Bellagio in the first place, as my trip would involve a mile-long walk, a train ride, and then a bus ride. The walk was fine, but when 9:27am came—time for me to board my train—I ran circles around the terminal, unable to find anything saying it was going to my destination, San Giovanni Station. I even followed signs that said Como, but it turned out they were just leading to a street in Milan called Como. Long story short, I missed the train. Thankfully, the trains are run frequently, so I hopped on the next one about an hour later, arriving in Como with plenty of time to do some exploring. The main part of town is a rough square, with a massive wall surrounding three sides of it, adorned with three towers on the side facing away from the lake. Inside, it’s like you never left the fanciest districts of Milan— the same high-end fashion stores line the streets, along with espresso shops that either don’t show prices (never a good sign) or do, but charge six times the reasonable price for a tablespoon of coffee concentrate with some 2%. “This must be the touristy place,” I thought, “And Bellagio will be like the undiscovered nature reserve with a few local hangouts and beautiful views of the water.” Oh, how wrong I was. After an hour-and-a-half-long ferry ride (€14.80), I hopped off the boat and entered a world even more removed from reality than the diamond-studded storefronts of downtown Milan. Prices on everything were in danger of escaping Earth’s orbit, and the people were clearly living a separate world from us ordinary people. “Remember that woman we rented for our last holiday?” I overheard a Swedish woman tell her husband. Further eavesdropping revealed that she only meant they had hired a private guide, but it was still a little disconcerting. 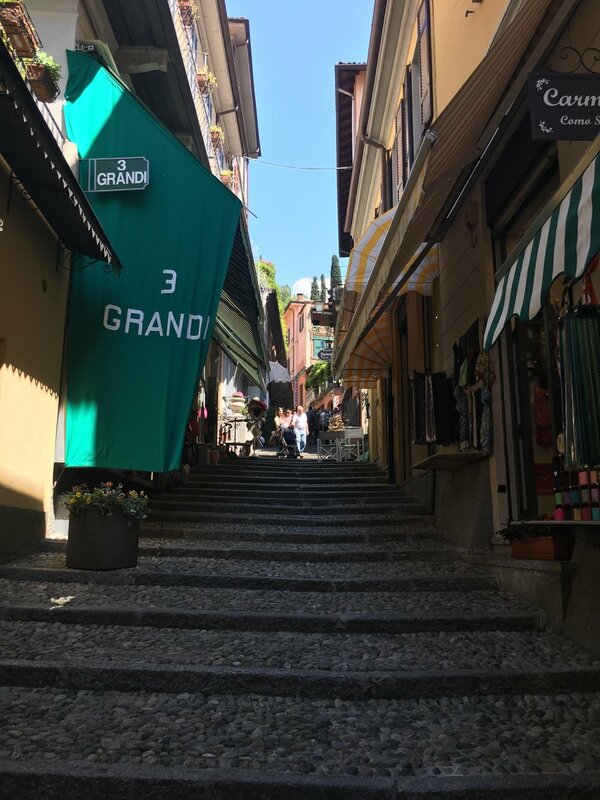 The Milan-Como-Bellagio trip was like a sieve, slowly filtering out the lower end of the socioeconomic spectrum until the final product of Bellagio: a glittering, bejeweled stew of otherworldly riches, and a town manufactured to the last pristine gelateria to cater to it. I wasn’t really that into it.